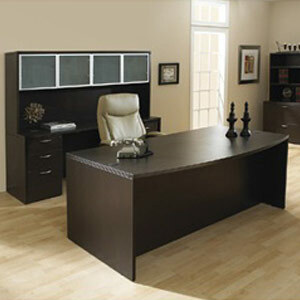 This Amber series laminate bow front desk is displayed here with a matching hutch and credenza set. Also pictured is a two drawer lateral file and bookcase to accent. This set has several different options and is available in expresso, cherry, and mahogany.